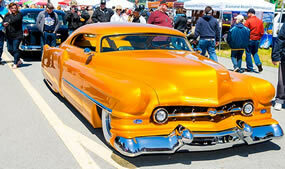 THE COOLEST SHOW ON EARTH ROLLS INTO HALF MOON BAY ON SUNDAY APRIL 29, 2018 - There are car shows, air shows, motorcycle shows, tractor shows, maker fairs, music festivals, food festivals, and living history festivals galore. 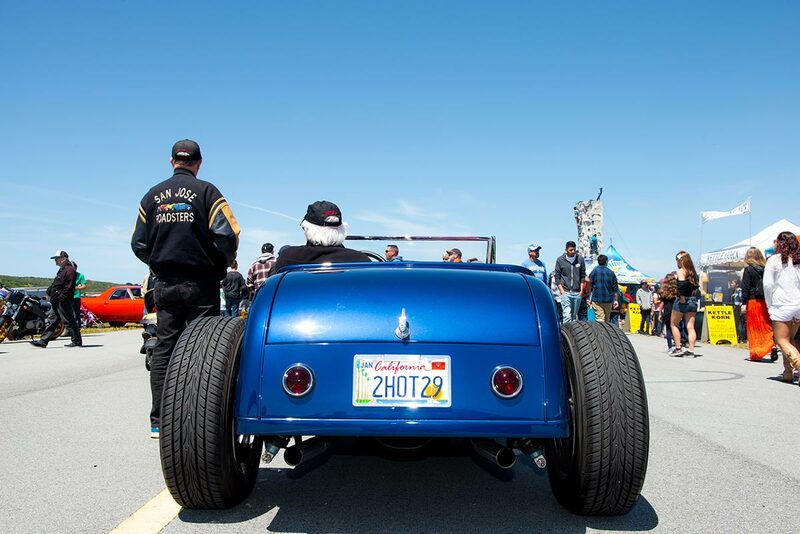 Mix them all together in one venue on one day and you've got Half Moon Bay California's remarkable, one and only Pacific Coast Dream Machines Show, marking its 28th year in 2018 with a massive celebration of mechanical ingenuity, power and style. It's quite simply the "Coolest Show on Earth". 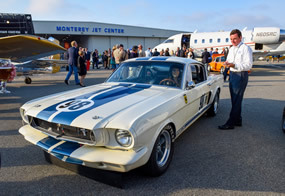 This year's spectacular 28th annual show will be held on Sunday, April 29, a one-day mega-show, from 10 a.m. to 4 p.m. at Half Moon Bay Airport, located in the picturesque seaside town of Half Moon Bay, CA about 20 miles south of San Francisco. 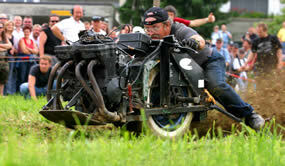 There are car shows, air shows, motorcycle shows, tractor shows, maker fairs, music festivals, food festivals, and living history festivals galore. Mix them all together in one venue on one day and you’ve got Half Moon Bay California’s remarkable, one and only Pacific Coast Dream Machines Show –– marking its 27th year in 2017 with a massive celebration of mechanical ingenuity, power and style. It's quite simply the “Coolest Show on Earth”. 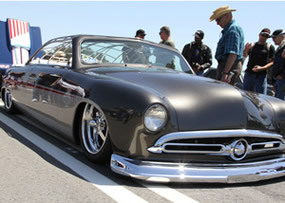 This year’s spectacular 27th annual show will be held on Sunday, April 30, a one-day mega-show, from 10 a.m. to 4 p.m. at Half Moon Bay Airport, located in the picturesque seaside town of Half Moon Bay, CA about 20 miles south of San Francisco. It's a whimsical, fascinating, amusing, curious and absolutely unique show and tell spectacle featuring 2,000 magnificent driving, flying and working machines from the 20th and 21st centuries. 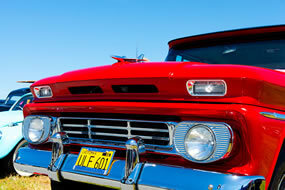 The world's coolest cars of every era and style, model-T fire engines, vintage buses, custom motorcycles, tricked out trucks, sleek streamliners, one-of-a-kind antique engines and tractors and historic military aircraft will be among the mesmerizing displays. 2016 McCall’s 25th Motorworks Revival Review: Gordon and Molly McCall celebrated the 25th anniversary of the Motorworks Revival on Wednesday, August 17th with a proper party that continues to evolve. It had all the requisite aircraft, cars, appetizers, and ambiance. This year a live DJ at 9pm was joined by a live drummer and violinist for a modern dance party. Needless to say, this party rocked. The Quail, A Motorsports Gathering Review: The Quail was held on Friday, August 18th 2016 and once again proved to be the finest gathering imaginable for cars, food and drink. Held at The Quail Lodge Golf Club in Carmel Valley, this year it expanded once again, and featured another world class gathering of the greats. 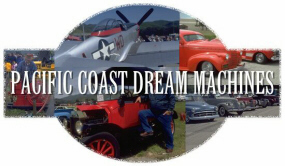 The Pacific Coast Dream Machines Show Returns Sunday, April 24, 2016 to Half Moon Bay Airport with more World-Class Tricked-Out Cars and Trucks, Fantastic Flying Machines, Custom Motorcycles, Quirky Contraptions, and the Dream Machine of the Year Award to Headline The Coolest Show on Earth. Plus Freestyle Motocross Stunt Shows, Monster Truck Rides, Unimotorcycle Drag Racing, Spectacular Skydiving and the World’s Youngest Monster Truck Driver Debut! 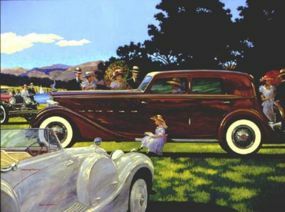 Monterey, California: Monterey Weekend, or simply &quot;The Weekend&quot; to all classic car fanatics, will be held this year on August 18, 19, 20, and 21, 2011 in the Monterey Bay area. 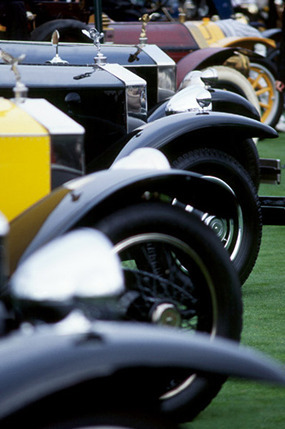 The Weekend is full of classic car shows, collector car auctions and automotive events. Here is the premier list of the best ones to attend this year. HALF MOON BAY, CALIFORNIA - There's nothing quite like it. 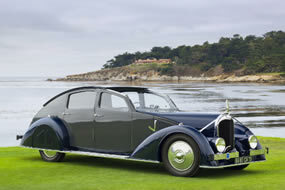 One of the west coast's biggest, most fascinating gatherings of the world's coolest cars, representing every style and era, will be featured at the 21st Annual Pacific Coast Dream Machines Show on Sunday, May 1, 2011 in Half Moon Bay, California. Monterey, California: Monterey Weekend, or simply "The Weekend" to all classic car fanatics, will be held this year on August 12, 13, 14, and 15, 2010 in the Monterey Bay area. 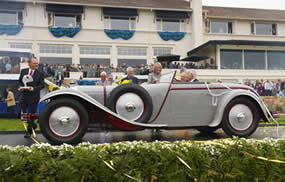 The Weekend is full of classic car shows, collector car auctions and automotive events. Here is the premier list of the best ones to attend this year. 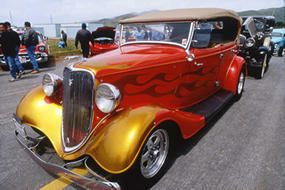 HALF MOON BAY, CALIFORNIA - The world's coolest cars of every era and style, model-T fire engines, vintage busses, custom motorcycles, tricked out trucks, sleek streamliners, one-of-a-kind antique engines and tractors and historic military aircraft will be among the mesmerizing displays. 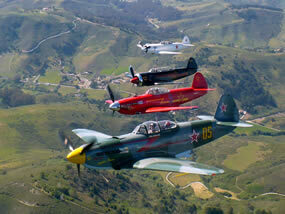 The spectacular 20th annual show takes place on Sunday, April 25 from 10 a.m. to 4 p.m. at Half Moon Bay Airport, located in the picturesque seaside town of Half Moon Bay, about 20 miles south of San Francisco. Monterey, California: Monterey Weekend, or simply "The Weekend" to all classic car fanatics, will be held this year on August 13, 14, 15, and 16, 2009 in the Monterey Bay area. 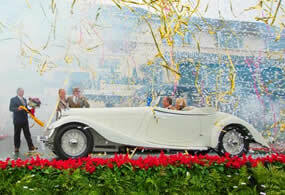 The Weekend is full of classic car shows, collector car auctions and automotive events. Here is the premier list of the best ones to attend this year. 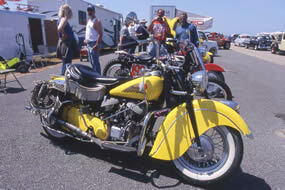 HALF MOON BAY, CALIFORNIA - This is the 19th Annual Pacific Coast Dream Machines Show, Half Moon Bay's spectacular showcase of motorized mechanical marvels from throughout the 20th and 21st centuries, with more than 2,000 ultra cool antique, vintage, classic, custom and exotic displays for public viewing. Monterey, California: Monterey Weekend, or simply "The Weekend" to all classic car fanatics, will be held this year on August 14, 15, 16, and 17, 2008 in the Monterey Bay area. 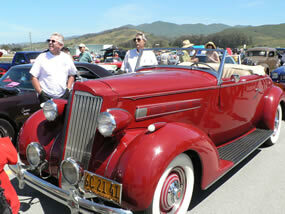 The Weekend is full of classic car shows, collector car auctions and automotive events. Here is the premier list of the best ones to attend this year. 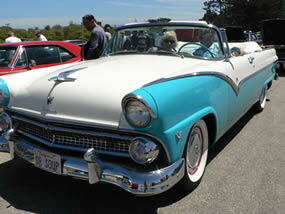 HALF MOON BAY, CALIFORNIA - There's nothing quite like the massive Pacific Coast Dream Machines Show. It's a whimsical, fascinating, amusing, curious and absolutely unique show and tell spectacle featuring 2,000 magnificent driving, flying and working machines from the 20th and 21st centuries. 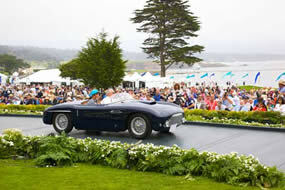 Monterey, California: Monterey Weekend, or simply "The Weekend" to all classic car fanatics, will be held this year on August 16, 17, 18, and 19, 2007 in the Monterey Bay area. 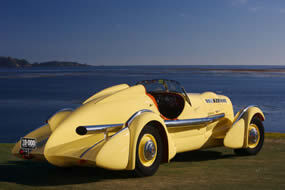 The Weekend is full of classic car shows, collector car auctions and automotive events. Here is the list of the best ones to attend this year. HALF MOON BAY, CALIFORNIA - Coming back strong from last year's rain-forced cancellation, a spectacular showcase of 2,000 magnificent machines running the gamut from super cool cars, custom motorcycles and one-of-a-kind woodie busses, to tricked out trucks, antique engines and tractors, and historic military aircraft will be among the mesmerizing displays at the 17th Annual Pacific Coast Dream Machines Show, Sunday, April 29, 2007 from 10 a.m. to 4 p.m. at Half Moon Bay Airport. The show benefits the Coastside Adult Day Health Center in Half Moon Bay, CA. 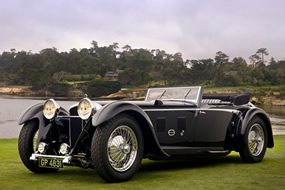 Monterey, California: Monterey Weekend, or simply "The Weekend" to all classic car fanatics, will be held this year on August 17, 18, 19, and 20, 2006 in the Monterey Bay area. 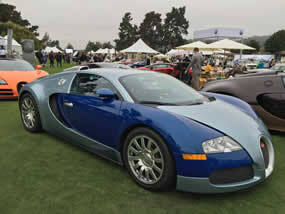 The Weekend is full of classic car shows, sports car auctions and automotive events. Here is a list of the best ones to attend. HALF MOON BAY, CA (April 4, 2006) - Organizers of the Pacific Coast Dream Machines Show announced today that this year's show has been canceled due to deteriorating field conditions at Half Moon Bay Airport caused by the unrelenting rain. The popular show was scheduled to take place on April 30 2006. 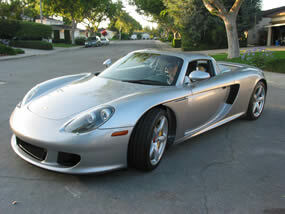 The 2007 Pacific Coast Dream Machines Show will take place Sunday, April 29 2007. Half Moon Bay, California: Bonneville legend Jack Costella's famous record-setting "Nebulous Theorem" streamliners, Chris Hodgson's world speed record BMW motorcycle, John Buddenbaum's hybrid motorcycle streamliner, Jim Holsman's 1904 Holsman Hi-Wheeler and Chuck Thurber's super powerful Porsche Carrera GT will be among the mesmerizing displays at the 15th Annual Pacific Coast Dream Machines Show. 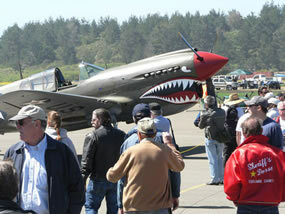 Sunday, April 24 from 10 a.m. to 4 p.m. at Half Moon Bay Airport. 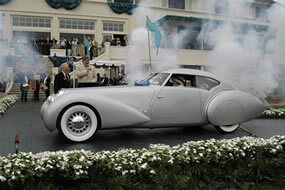 Monterey, California: Monterey Weekend, or simply "The Weekend" to all classic car fanatics, will be held this year on August 13, 14, and 15, 2004 in the Monterey Bay area. 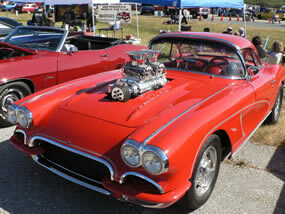 The Weekend is full of classic car shows, sports & muscle car auctions and automotive events. 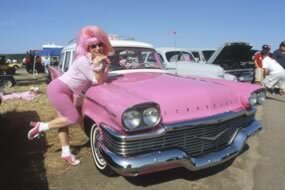 San Francisco: Monterey Weekend, or simply "The Weekend" to all classic car fanatics, will be held this year on August 15, 16, and 17, 2003 in the Monterey Bay, California area. 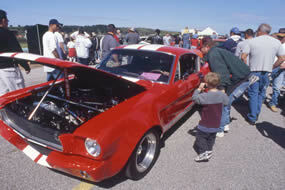 The Weekend is full of classic car shows, sports & muscle car auctions and automotive events. HALF MOON BAY, CALIFORNIA - A massive and whimsical showcase of 2,000 driving, flying, and working machines headlined by an exact replica of the original Wright Flyer (celebrating its 100th anniversary this year), "In The Mood", a beautifully restored World War II B-25 Mitchell Bomber, a P-47 Thunderbolt, one of the leading fighters from World War II, and a stunning exhibit of automobiles of every style and era highlight the Pacific Coast Dream Machines Show, Sunday, April 27, 2003 from 10 a.m. to 4 p.m. at Half Moon Bay Airport. 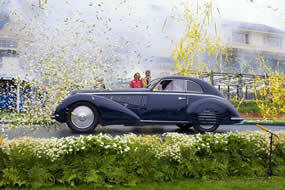 SAN FRANCISCO: What's become known as Monterey Weekend, or simply "The Weekend" to classic car fanatics, will be held on August 16, 17, and 18, 2002 in the Monterey, California area. 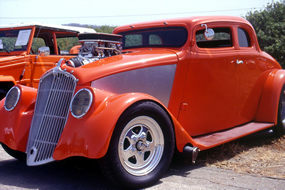 The Weekend is full of classic car shows, sports & muscle car auctions and automotive events. 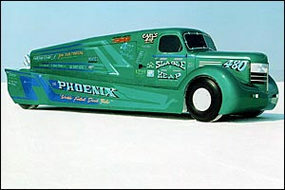 Half Moon Bay, Calif. April 28, 2002: An F-18 Hornet fighter jet (like those used by the U.S. Navy and Marine Corps in Operation Enduring Freedom), the world's fastest diesel-powered truck (251 mph record set in 2001 on the Bonneville Salt Flats), a U.S. Army Blackhawk helicopter, a regionally-sanctioned Tractor/Truck Pulling competition, and the world's most whimsical showcase of 2,000 driving, flying, and working machines highlight the Pacific Coast Dream Machines Show, Sunday, April 28, 2002 from 10 a.m. to 4 p.m. at Half Moon Bay Airport. 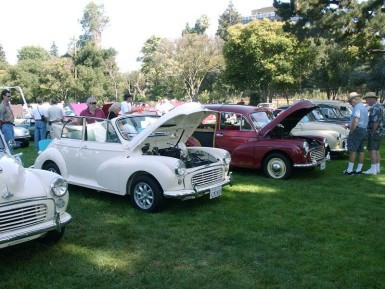 SAN FRANCISCO: The California British Car Meets have become a fall tradition among San Francisco Bay Area enthusiasts since 1978 and the Los Angeles British car fanatics since 1982. The Palo Alto event was one of the first in the United States and has been the prototype for hundreds of other similar shows that have sprouted up across the country.